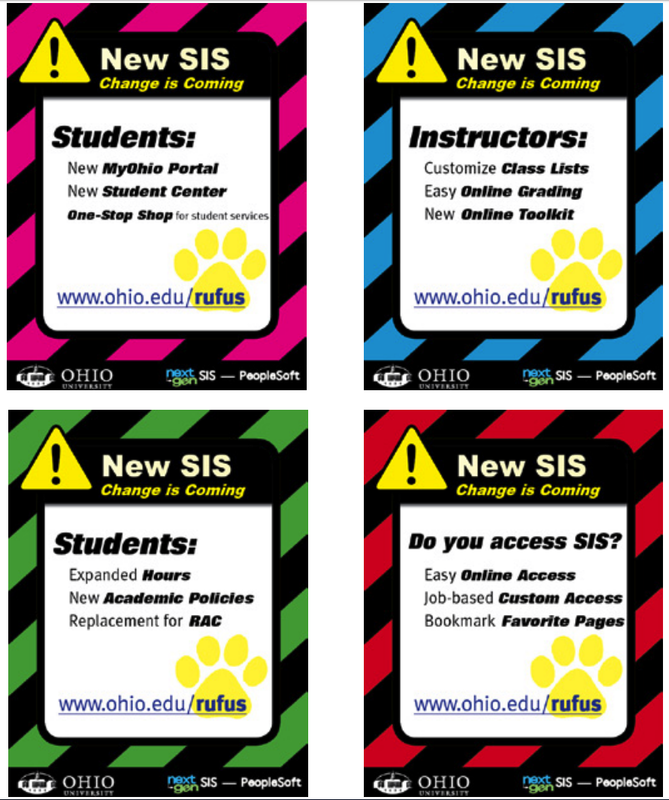 In 2011 Ohio University made the decision to transition to an entirely new Student Information System through a $19 million bond. 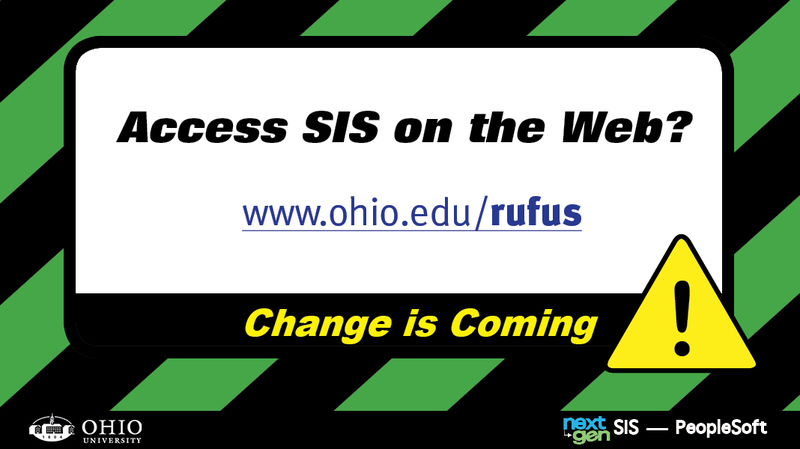 The Rufus Initiative was a major undertaking for the university that involved setting up a new system that would impact everyone on campus and require thousands of people to be trained in using the new system. 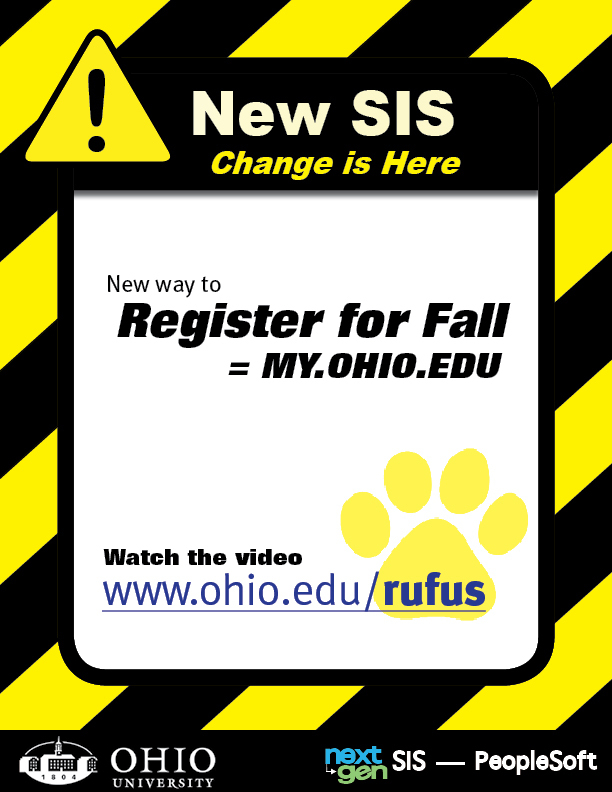 I needed to create an ad campaign to create awareness of the new student information system. 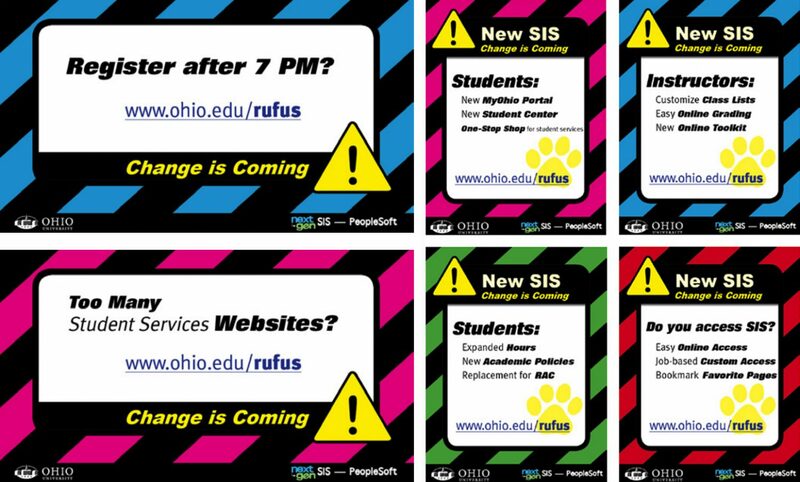 The communications would be distributed via large posters distributed throughout campus, displayed on the plasma displays in Baker Center and other locations, and displayed on screen savers in the library. Therefore I needed a design that would do well in both landscape and portrait layouts. 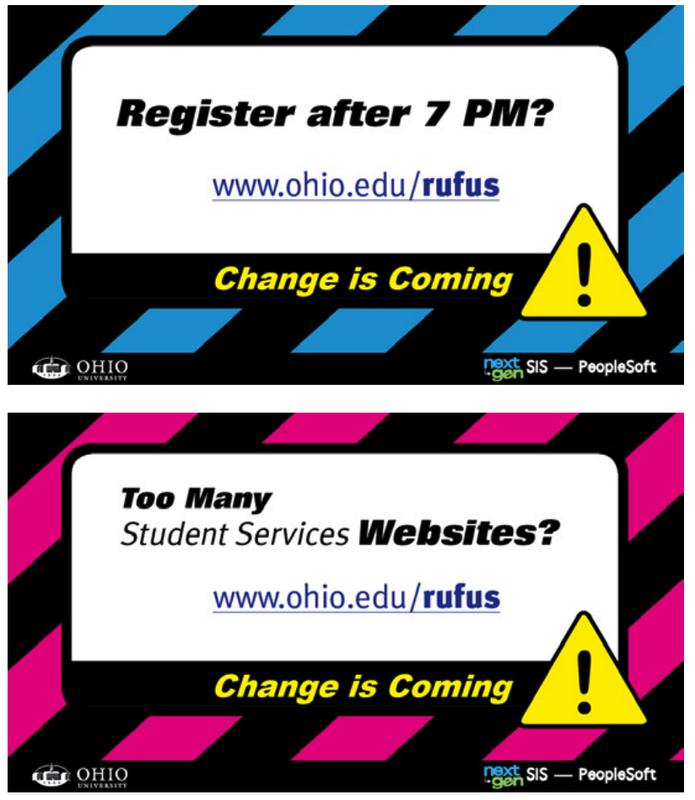 The posters would be displayed on bulletin boards across campus, in places such as dorm community rooms, etc. Bulletin boards tend to be very cluttered. I started looking at the world around me to see what communications stood out and got attention. There was a universal scheme used in parking lots and in buildings to get attention using vibrant yellow and stripes. These were caution signs, warnings, and danger signs. Apple Motion, Final Cut Pro, Adobe After Effects, Adobe InDesign, Photoshop and Illustrator.